Jess Weixler went for supreme elegance at the amfAR 21st Cinema Against AIDS Gala in Cap d’Antibes France, opting for a petal-embellished powder blue gown from Honor’s Fall 2014 collection. This was beautiful and romantic. 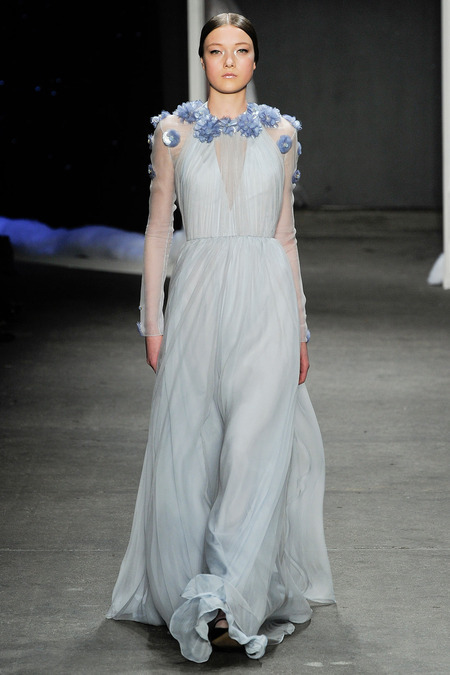 Visit www.honornyc.com for more information and see Jess’s gown worn on the runway below.